Hi Everyone! We’ve added quite a few features to keep you better informed. You can now add “Sticky” posts to your blog and/or school news. 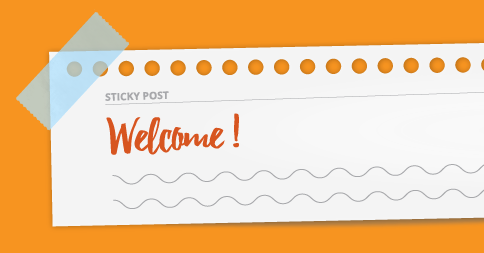 Sticky posts always display at the top of the page so that your students can’t miss it. We’ve changed the order of the fields on the sign-up widget to make it clearer to parents registering children which email address goes where (and to make it clearer that a student email address is optional). If you have “Display Price on Calendar” turned on you’ll now see the event price per student displayed in the calendar popup (even if no students are registered yet). We made a few minor internal tweaks to make switching website themes more seamless. The “Lessons Left This Week” is now consistent with the calendar week. If you’re located in North America, you’ll see lessons from Sunday – Saturday. If you’re located in the UK, you’ll see Monday – Sunday. This is automatically determined by your school’s “Region” setting. If you’re not using the Payment Types option in My School Books, payments will no longer show “(Not Specified)” as the payment type. We’ve updated some of the text in the user interface so that “Income” and “Revenue” are now used in the correct context. For multi-teacher schools, we’ve fixed the “Add Event” shortcut on the calendar when the calendar is displayed in “Location” mode. The year and month is now displayed at the top of the printed calendar. Did you know? When you add a new student, you can turn on auto-invoicing right away if your school uses that feature.